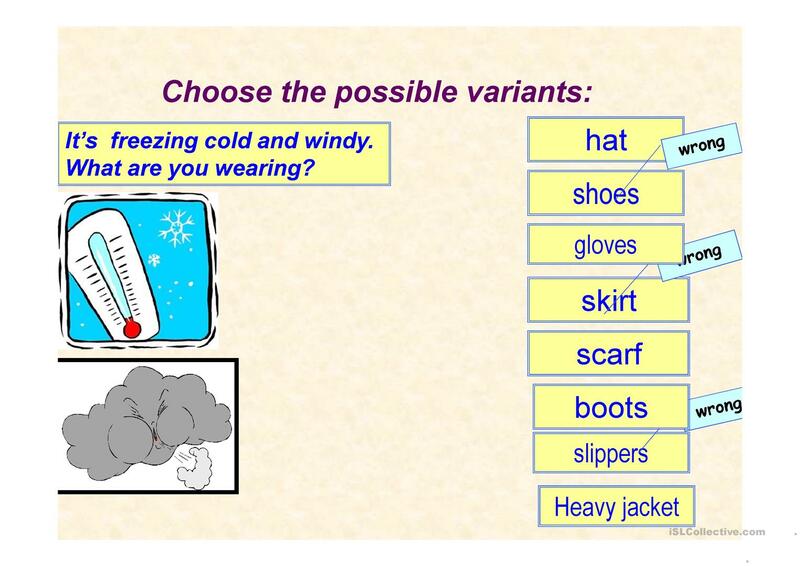 a PPT to practice vocabulary related to rhe weather and clothes. 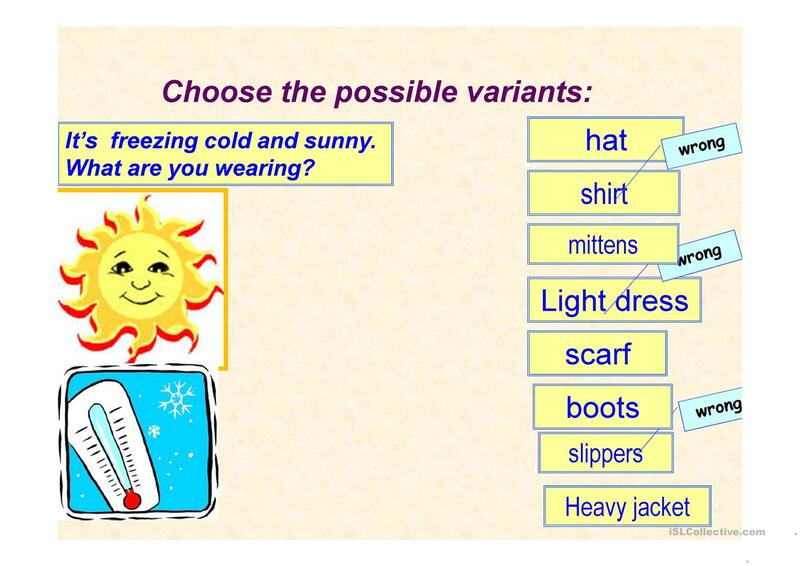 Clich the corect item to answer the question "What are you wearing?" (according to the weather-picture). For elementary level. My children love it! 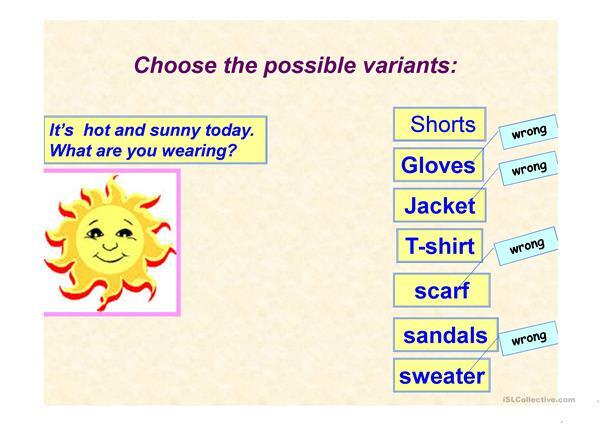 The above printable, downloadable handout is recommended for elementary school students at Beginner (pre-A1) level. 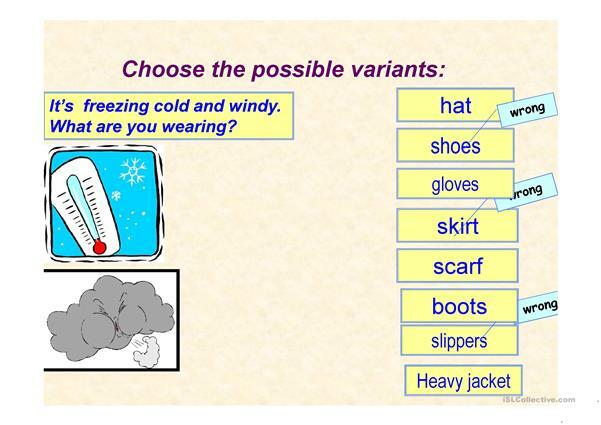 It is great for consolidating Present continuous (progressive) tense in English, and is a valuable material for strengthening your groups' Speaking skills. It centers around the topic and words of Clothes, fashion. TanyaOsnovina is from/lives in Ukraine and has been a member of iSLCollective since 2015-02-16 15:21:35. TanyaOsnovina last logged in on 2019-04-12 16:32:07, and has shared 2 resources on iSLCollective so far.